MacX DVD Video Converter Pro Pack, perfect combination of MacX DVD Ripper Pro and MacX Video Converter Pro to convert DVD and video for playback on Mac computer, iPhone XS/XS Max/XR/X/8/8 Plus/7/7 Plus/SE/6s/6s Plus/6/5S, iPad Air 2, iPad Mini with retina display, iPad Mini 4, iPod, The New Apple TV, Android, HTC, Samsung, Galaxy Tab, PSP, QuickTime, etc. 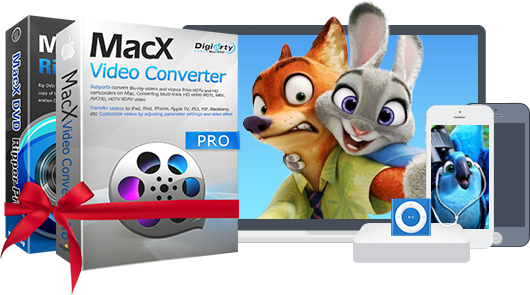 MacX DVD Video Converter Pro Pack, an excellent Mac DVD ripper as well as video converter, which rips both homemade and commercial DVDs to popular video & audio formats, such as rip DVD to MP4, DVD to FLV, DVD to MOV, DVD to Android, DVD to iPhone XS/XS Max/XR/X/8/8 Plus/7/7 Plus/SE/6s/6s Plus/6/5S/5, DVD to iPad Air 2/Mini 4/3/4, and converts video among HD and SD videos, like MKV to MP4, MKV to iPhone XS/XS Max/XR/X/8/8 Plus/7/7 Plus, MKV to iPad Air 2, AVCHD to MP4, M2TS to iPhone, AVI to FLV, etc. This DVD and video converter pack also provides you with multifunctional solution to download video from YouTube, Facebook, Vevo, Vimeo and 300+ sites, record screen, make photo slideshow, edit video, customize parameter settings, and extract audio and pictures from DVD or videos in a few clicks. If you have videos from the web, backups of your favorite films and TV shows, or just any random clip that you'd like to take with you somewhere, it will help you out. Take any type of video and convert to a file compatible with your device, be it a laptop, iPhone, or iPad. 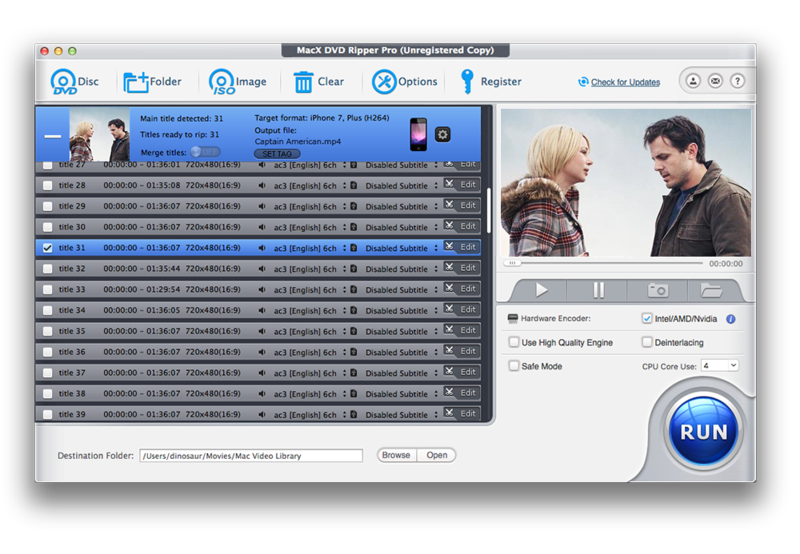 With MacX DVD Ripper Pro, you can back up DVDs in multiple formats to ensure you don't lose precious memories or costly software, and you can even rip encrypted DVD to a slew of iOS devices in minutes without compromising quality! 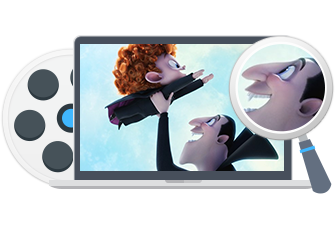 MacX DVD Video Converter Pro Pack is a professional DVD video conversion tool for Mac users to rip DVD movies to various video formats such as MP4, MOV, FLV, MPEG, AVI, MP3 etc for playback on iPhone XS/XS Max/XR/X/8/8 Plus/7/7 Plus/SE/6s/6s Plus/6/5S, iPad Pro, iPad Air 2, iPad Mini 4, Apple TV, iTunes, iDVD, iMovie, Android, Samsung Galaxy S8, HTC, Kindle Fire HDX8.9, New Nexus 7, WP8, Surface, Xbox, Xperia Z5, PS4 and other popular devices. 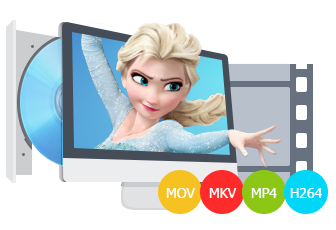 This professional Mac DVD video converter software will be constantly upgraded to assist in ripping the latest DVD releases, removing different copy encryptions like CSS encryption, 1-6 region protection, Sony ARccOS protection, and even New Disney DVD copy protection. With the unique DVD title check mechanism, it works without DVD errors to rip DVDs, 99-title DVDs, workout DVDs, Japanese AV DVDs, and other knotty DVDs that are damaged or unplayable for legal & personal use. 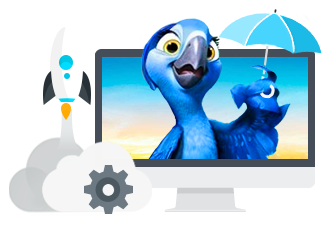 It can convert among all sorts of popular video formats, like MKV, M2TS, AVCHD, MTS, MOD, AVI, MP4, MPEG, WMV, XviD, H.264, MOV, ASF, FLV, WebM, DV, etc in 4K/8K/HD with up to 5x faster speed and high quality. Thus you can transfer video to devices like iPhone XS/XS Max/XR/7/7 Plus/SE/6S/6S Plus, iPad Pro, iPad Air 2/Mini 4, iPod Touch 5, Apple TV, Android, HTC, Samsung Galaxy S6 Edge, Surface Pro, PS4 etc. 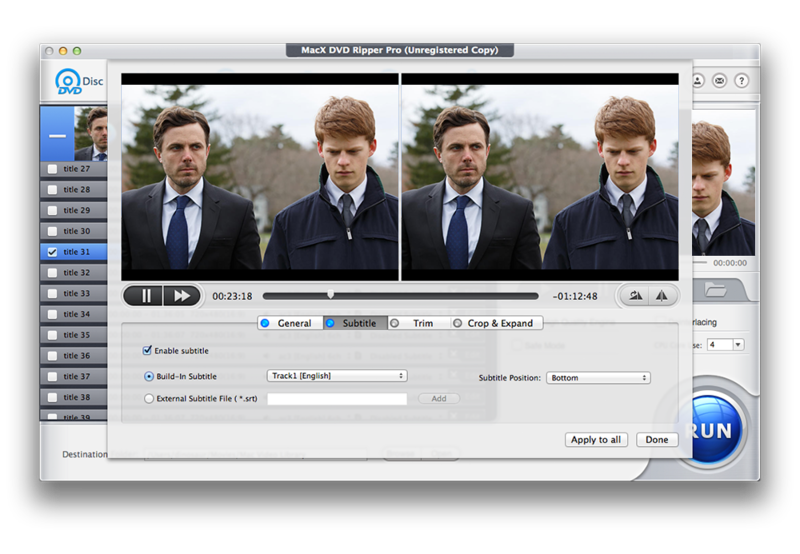 You may also edit converted video with iMovie, or upload videos to YouTube, Facebook, Metacafe, etc. The Mac DVD video converter software offers various useful video editing features. Trim - Cut off video clips/segments by specifying start and end time. Add subtitle - Attach your preferred language subtitle to movie. Make perfect 1:1 DVD copy to Mac hard drive, including the main movie, all of the menus, and subtitles in case of any scratches, loss, or damages. 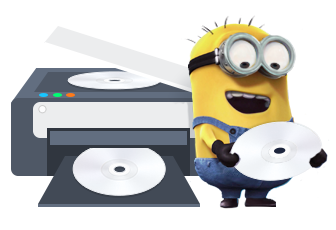 It is easy to backup DVDs to Mac as a MPEG2 file with original audio & video quality. Thus you can store them on your MacBook Air/Pro, iMac or USB hard driver, and play with VLC player or Quicktime Player on Mac OS X. It also offers options to copy DVD to ISO image, or back up DVD to MKV on Mac. All with fast DVD backup speed. In addition to save DVDs in MP4, other digital files on Mac computer, for those who would like to make a DVD backup of videos collected from HD camcorder (JVC, Sony, Panasonic, Canon), HDTV, Blu-ray video, YouTube, TV show or homemade, this DVD video converter for Mac would be a handy solution to create VOB file from them which can be further burned to DVD with a DVD burning software. 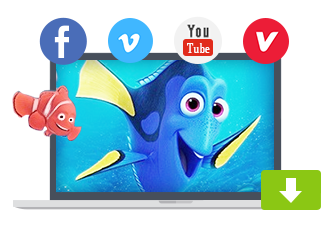 The video converter for Mac in this Pack assists you to download YouTube videos and videos from over 300 sites, like Facebook, Dailymotion, Vimeo, Vevo in 4K/HD/360 VR, 3D Bluray. 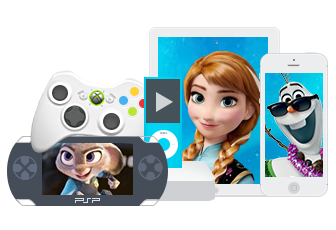 It also converts the downloaded video to the video/audio formats compatible with QuickTime, iPhone, iPad, Apple TV, iMovie, Android, PSP, etc. Besides, it helps you record screen activities on Mac and make slideshow from photos for you to share on YouTube, Facebook, blog, etc. 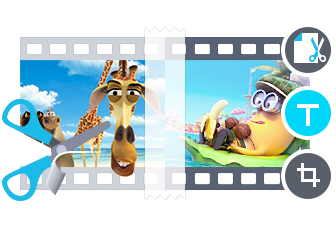 It enables you to capture your favorite pictures from the DVD movies or videos in PNG format and set them as wallpaper for your Mac and iPhone X/8/8 Plus/7/7Plus/SE/6S, iPad Air 2/mini 4 etc or share with friends. 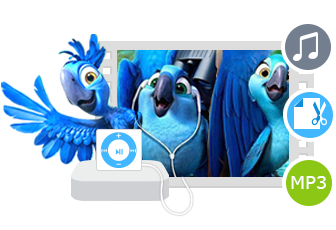 For those who would like to make iPhone ringtone from DVD movies or videos, extract movie soundtracks, it is also the best choice for you to extract audio from original files in MP3 format with original audio quality. This pack allows high level users to customize video/audio effects, including resizing output video or tailoring output parameters like video codec, video bitrate, frame rate, aspect ratio, resolution, audio codec, audio channel, audio sample rate, bitrate etc. Users can easily reduce video files to smaller without losing quality, change video size to fit mobile display, or customize the output video settings based on their own needs. With simply designed user interface, it brings you an easier and smarter DVD video converting experience. It only takes a few clicks to complete the conversion, even beginners can finish the DVD video conversion smoothly yet without losing output quality. Both the high quality engine and deinterlacing functions are specially designed to improve the picture of the videos and keep the original video quality. 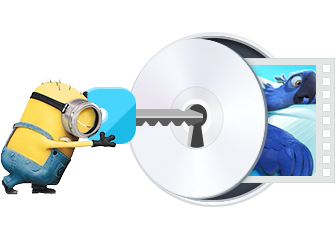 This Mac DVD decrypter and video converter makes the DVD and video conversion more efficiently. 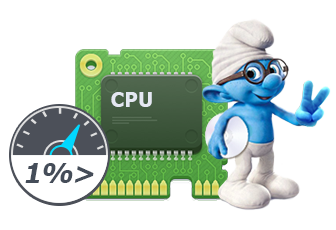 With multi-core CPU, batch processing and hyper threading supported, it promotes the conversion speed to great extent. 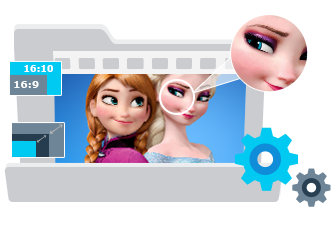 With this program, you can convert videos, DVDs much faster than other similar tools. 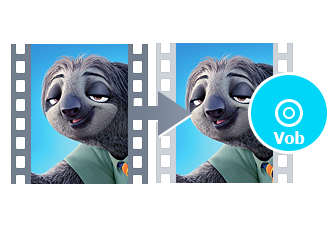 Intel's Quick Sync Video/Nvidia NVENC hardware acceleration tech is added to bring the DVD ripping and video converting speed to the world's fast (5x faster than other tools). Advanced audio and video sync technology is adopted, "Force A/V Sync" makes the output videos with perfect performance by improved audio video synchronization. "Safe Mode" is specially designed to smooth the conversion.